Do You Want to Take a Part in the Program? Consultant Paediatric Gastroenterologist, University Hospital Southampton. Appointed as Consultant Paediatrician with an interest in Paediatric Gastroenterology in Peterborough in 1995 and subsequently as Consultant Paediatric Gastroenterologist in Southampton in 2000. Established and now leads the regional paediatric gastroenterology unit with a high referral rate including more than 800 endoscopies and 50 new cases of inflammatory bowel disease each year. Long term interest in the nutritional management of chronic disease including the role of enteral nutrition as primary therapy Crohn’s disease and strategies to improve nutritional status and growth in conjunction with other treatments in children with Inflammatory Bowel disease. President of the British Society of Paediatric Gastroenterology, Hepatology and Nutrition 2010-13. Editor in Chief of Archives of Disease in Childhood. Editor in Chief of Archives of Disease in Childhood 2012-2017. He is presently Director of the Department of Paediatrics at the University Hospital Federico II, Naples. Professor Riccardo Troncone holds a research position at the Institute of Food Science and Technology, CNR, Avellino. He worked as a research fellow at the Institute of Clinical Immunology, University of Florence, Prof. Romagnani, 1979-80, and at the Gastrointestinal Unit, the University of Edinburgh, Prof. Ferguson, 1985-87. His research interests are focused mostly on mucosal immunology; from a clinical point of view they include: coeliac disease, food allergies, inflammatory chronic bowel disease. He is the author of 3 volumes, 100 monographies/reviews, 150 original papers. He is member of several Scientific Societies of Pediatrics and Immunology and immediate Past President of the European Society of Pediatric Gastroenterology, Hepatology and Nutrition (ESPGHAN). 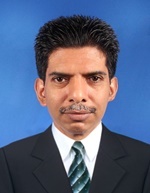 Prof Rajindrajith is the Professor of Paediatrics, Faculty of Medicine, University of Kelaniya, Sri Lanka and a honorary Consultant Paediatrician, North Colombo Teaching Hospital, Sri Lanka. He is a pioneer researcher in functional gastrointestinal disorders in Asia. Prof Rajindrajith’s work on epidemiology of constipation, constipation and child maltreatment, health related quality of life, and psychological maladjustment have been recognized worldwide. 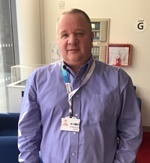 He also serves as the clinician in charge of the paediatric gastroenterology, hepatology and endoscopic service with a large number of referrals each year. He has also won several national and international awards for his research including 7 Presidential awards. He is in Editorial Boards of several reputed journals as well.